Ensure you brush and floss often. Brush at least twice a day and floss at least once a day. You could use a mouthwash to rinse your mouth out. You could also scrape your tongue with a tongue scraper. Avoid foods, such as garlic and onions, that sour the tongue. Drop the bad habit of tobacco smoking. Tobacco smoking can stain your teeth, damage your tongue, and give you bad breath. Ensure you keep your gums healthy. Ensure your mouth is not dry by drinking an adequate amount of water throughout the day. Drinking water frequently helps in flushing food particles that create room for bacteria, that cause bad breath, to breed. If one drinks little water, the microbes in the mouth feed on these loose food particles and this results to byproducts that cause halitosis. Taking lots of water helps in the production of bacteria-fighting elements and natural enzymes in the saliva. This is a brilliant home remedy for bad breath, you need a half teaspoonful of apple cider vinegar and mix it in a glass of cold water. After mixing well, use this as a mouthwash and gargle for about 5 minutes, then, rinse your mouth with clean, warm water. Apple cider vinegar contains antibacterial properties that reduce halitosis. ACV also balances the mouth pH. You can perform this remedy in the morning and evening before sleeping. Ensure you use diluted apple cider vinegar as undiluted ones could lead to demineralization of your teeth. Get ginger from your local market, grate and obtain one teaspoonful of ginger juice and mix it in warm water and gargle in your mouth for some time. You can do this remedy before going to bed. Ginger works as it has antimicrobial properties that help in eliminating bad odor and fighting various oral and throat infections. Sugar-free gums contain mouth freshening components, such as mint, and promote a healthy flow and production of saliva in the mouth and throat. Continuous chewing would promote fresh and odor-free mouth for hours. Use one tablespoon of virgin coconut oil and swish in your mouth for about ten minutes and spit it out. Rinse with warm water and repeat this every day till the bad breath is gone completely. Coconut oil has anti-inflammatory and antimicrobial properties that inhibit the odor-causing germs. You can purchase activated charcoal and use a half teaspoonful to brush your teeth. Then rinse your mouth with clean water to remove the charcoal particles. Do this 2-3 times a week until you feel certain your bad breath problem is cured. Activated charcoal kills the odor-causing bacteria in your mouth, whitens your teeth and absorbs any foul smell in your mouth. Use one teaspoonful of Epsom salt and mix in a glass of lukewarm water and gargle in your mouth. Do this daily and after some time, do it 2-3 times a week, till the Halitosis dissipates. This remedy works because Epsom salt is an effective toxin remover and has antibacterial properties that inhibit oral bacteria thus promoting fresh breath. Add 2 to 3 drops in a cup of water, mix well and gargle in your mouth then rinse with warm water. Repeat this every day till the odor from the mouth dissipates. Eucalyptus oil kills various types of bacteria present in the mouth and has analgesic and anti-inflammatory properties that reduce pain or swelling around the gum. 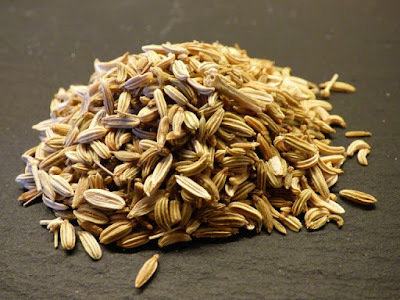 For this remedy, you would need about one teaspoonful of fennel seed and chew while ingesting. Use this remedy occasionally when you have bad breath. 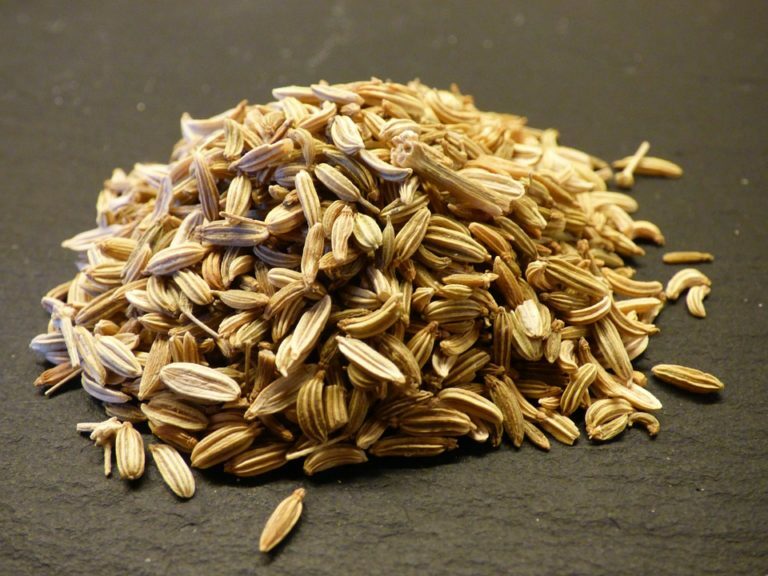 Fennel seed is known for its fresh breath properties and also fighting numerous infections that result in bad breath. Mix 2-3 drops of grapefruit extract with your toothpaste and brush your teeth with it. Rub gently on your teeth and tongue. Rinse with clean water thereafter. You can repeat this every day until you realize a change (often within one week). The extract is a deodorant that works well for general oral health and for also eliminating oral bacteria build up. For this remedy, you would need some fresh leaves of parsley which you would chew directly. You can also add parsley leaves to your food especially your salads and soups. You can also use it occasionally as part of your smoothie for effective results. These leaves have an antibacterial effect that acts on the bacteria which causes odor, thus, eliminating halitosis and also promoting effective digestion. For this remedy, steep one bag of green tea in a cup of hot water and add some honey for taste. It gives better results if you take up to 3 cups every day. Green tea has potent phytochemicals that are naturally antibacterial which eliminate the odor and inhibits the oral bacteria that cause halitosis. For this remedy, you require a teaspoon of lemon juice and about two tablespoons of plain yogurt, mix the ingredients and apply on your teeth, leave for 5-10 minutes and rinse your mouth thereafter. You can use this remedy any time you require. The remedy works well as lemon has antibacterial elements for fighting bacteria that cause odor while the yogurt restores the natural flora of your cavity. You would need one teaspoon of baking soda and a half teaspoon of the lemon juice. Mix the two ingredients to get a coarse paste. Gently apply the paste on your teeth and clean with clean water thereafter. Repeat this remedy once every week. Baking soda is an effective antacid that balances the pH level in the mouth while the lemon has antibacterial properties that make this an excellent combination for dissipating halitosis. You only need a teaspoon of salt and a glass of warm water, mix well and gargle in your mouth once or twice every day. Table salt has antimicrobial properties and also neutralizes the level of your mouth pH.